Fire-grilled pizza. Smoky barbecued ribs. Delicious grilled desserts. These are just a few of the lip-smacking foods that can be made on the grill. Read inside to learn about the tools and skills needed for cooking on a wood or gas grill. Then follow the easy recipes to make a variety of incredible finger-lickin' grilled meals. 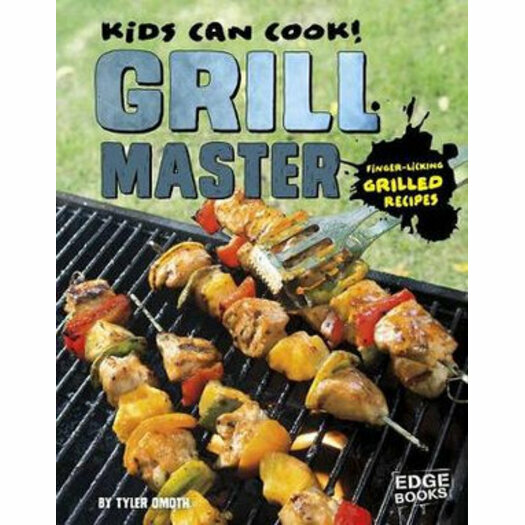 Before you know it, you'll be a grilling master! You don't need to be a professional chef to cook amazing food. Cooking up mouthwatering grilled meats, rugged campfire meals, and savory bacon dishes just takes a little knowledge and practice. With easy-to-follow recipes and helpful hints in Kids Can Cook!, young chefs will be cooking like pros in no time.